Comio has launched the watered down version of Comio X1 Note in India, namely, the Comio X1. The smartphone has been priced at Rs 7,499 and comes with features such as Face Unlock, 18:9 display on the front, 13MP rear camera, but it has a major letdown in the form of the MediaTek MT6739 processor. For the asking price, the device goes against the likes of the Xiaomi Redmi 5, Moto G5 and other smartphones in the similar price range. The Redmi 5 has been the leader so far in the sub- Rs 8,000 price bracket and going by the on-paper specs of the Comio X1, the former will remain the leader in the segment. Also, the Comio X1 will be the company’ second smartphone to be made available through the online stores. The Comio X1 Note was an offline-only model. As mentioned, the Comio X1 is a watered-down version of the Comio X1 Note. The smartphone flaunts a 5.5-inch HD+ display on the front with 18:9 aspect ratio. Comio is calling the display as the Full View screen. The Comio X1 measures 8.3mm in thickness and weighs 127 grams. Under the hood, the X1 has the quad-core MediaTek MT6739 chipset, coupled with 2GB of RAM and 16GB of internal storage. The handset rocks a single 13MP camera on the rear and Comio is betting big on the rear camera. To the front of the phone, there’s again a single 8MP shooter. Comio has also added an AI-based Face Unlock feature, and the camera app also comes bundled with Portrait mode, which again works on AI as the device doesn’t have a dual rear camera setup. Other features included in the camera app are Smile Gesture, Face cute and Face-age photographing. ” On the back of a successful launch of the X1 Note, we are now delighted to introduce the all new COMIO X1 for the youth. With COMIO X1, we aim to enhance our customers experience with more advanced features at an affordable price. The COMIO X1 truly represents our ambition to emerge as a leader in the mid-segment smartphone industry, ” company’s CEO Sanjay Kalirona said at the launch. This dual-SIM smartphone from Comio runs on Android Oreo-based custom skin. It’s armed with a 3050mAh battery and comes with 22 regional languages support. Connectivity options on Comio X1 include 4G LTE, VoLTE, ViLTE, Wi-Fi, Bluetooth, GPS and a Micro USB port. The Comio X1 also has a fingerprint scanner placed on the rear side. Comio has added features such as a fingerprint lock for applications, Bike Mode to the handset in order to enhance the user experience. 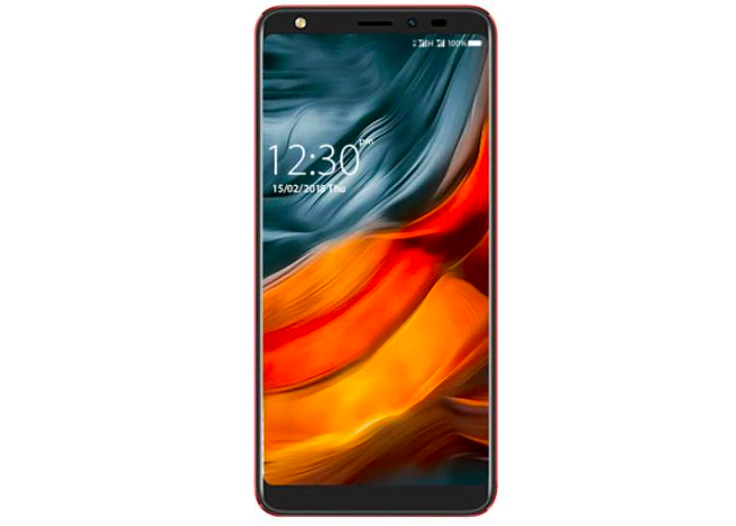 The Comio X1 has been launched in India for Rs 7,499 and it can be purchased across Flipkart, Amazon, Shopclues, Paytm and Snapdeal going forward. As for the launch offers, the company has partnered with telecom Idea Cellular and Reliance Jio to provide additional data. Idea Cellular prepaid users will get an additional data of 60GB on recharging Rs 199 plan, while Jio, on the flip side is giving Rs 2,200 cashback in the form of 44 vouchers worth Rs 50 each. Jio is offering cashback only on Rs 198 and Rs 299 prepaid recharges.